Derogation from the Human Rights Convention is allowed only in limited circumstances. If a derogation meets the conditions set out in Article 15 of the Convention, a State’s obligations to secure certain human rights will be suspended. What is derogation and how does it work? First things first: States that sign up to the Human Rights Convention agree not to violate, and sometimes to take steps to protect, the human rights listed in the Convention, such as the right to life and the right to liberty. Because you have rights, the State has corresponding Convention obligations. 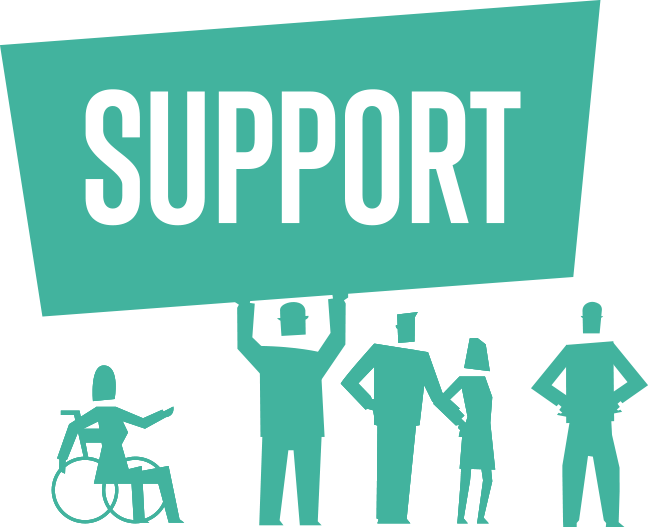 The Human Rights Convention recognises that sometimes States experience situations of extreme crisis. In those times, it might not be possible for a State to achieve all of the Convention obligations it’s adopted. So, the Human Rights Convention provides some flexibility for States dealing with crises – it gives States a power to derogate from certain Convention obligations through Article 15. The effect of derogating is to suspend some of the State’s Convention obligations, provided that any measures adopted in derogating from the Convention meet the requirements set out in Article 15. When can States derogate from the Human Rights Convention? States can only derogate from the Human Rights Convention “in time of war or other public emergency threatening the life of the nation” (Article 15(1)). No State has derogated from the Convention due to war with another State. Most derogations have been in response to internal conflicts and terrorism. In these cases, States asserting their power of derogation claim that there is a “public emergency threatening the life of the nation” which justifies the temporary suspension of their Convention obligations. The courts tend to give States a wide ‘margin of appreciation’ when it comes to deciding whether there’s a public emergency threatening the life of the nation (i.e. they generally defer to States’ views on this matter). The UK has previously derogated from the Human Rights Convention in the 1970s, following terrorist acts related to the situation in Northern Ireland, and in 2001, in light of the terror threat after 9/11. What can States do once they’ve derogated? For example, a derogating State could pass laws allowing it to detain people indefinitely without charging them with a criminal offence, which would normally (absent a derogation) violate its obligations under Article 5 of the Human Rights Convention (the right to liberty). Are there any limits on derogating measures which States can take? 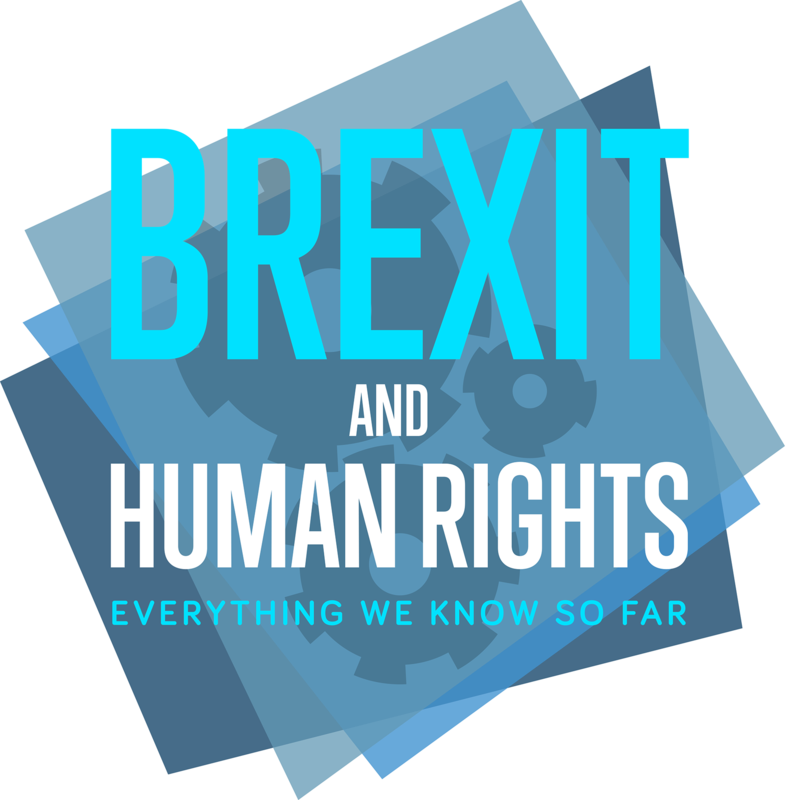 Yes – there are three crucial limits under Article 15 on what States can do, even once they’ve claimed to have derogated from the Human Rights Convention. This means that, even once they’ve derogated, States may not take measures which go beyond what is strictly required to deal with the threat. This limits derogation measures to what is necessary. This also means that courts can review derogation measures to make sure they’re strictly necessary. If the court concludes that they are not, the derogation is invalid, so the State’s attempt to suspend its Convention obligations will be ineffective and a court is likely to find that the State has breached its obligations. In assessing whether a derogation measure is necessary, courts may consider, for example, whether it’s limited in scope or time, and whether there are any safeguards built in (such as procedures for review). In the case of A v United Kingdom, the Human Rights Court found that derogation measures taken by the UK post-9/11 were disproportionate (not strictly required by the exigencies of the situation) because they were discriminatory against foreign nationals. There are certain rights from which States can never derogate, namely the right to life (except for deaths resulting from lawful acts of war), freedom from torture and inhuman and degrading treatment and punishment, freedom from slavery, and the right not to be convicted of a criminal offence for acts which were not criminalised at the time they were carried out. States’ obligations to protect these rights can never be suspended. They are guaranteed at all times, even in situations of emergency. They reflect the most basic commitments of a civilised, democratic society. This means, for example, that if a State derogated from the Human Rights Convention in an armed conflict where international humanitarian law applies, the State couldn’t do anything in derogating from the Convention which would be unlawful under international humanitarian law. What does a State that wants to derogate have to do? Under Article 15(3), States who want to derogate from the Human Rights Convention must notify the Secretary General of the Council of Europe, stating the derogating measures taken and the reasons justifying them. States also have to keep the Secretary General informed when the derogation measures no longer apply and their Convention obligations resume in full. Featured image: West Midlands Police / Flickr (image cropped). 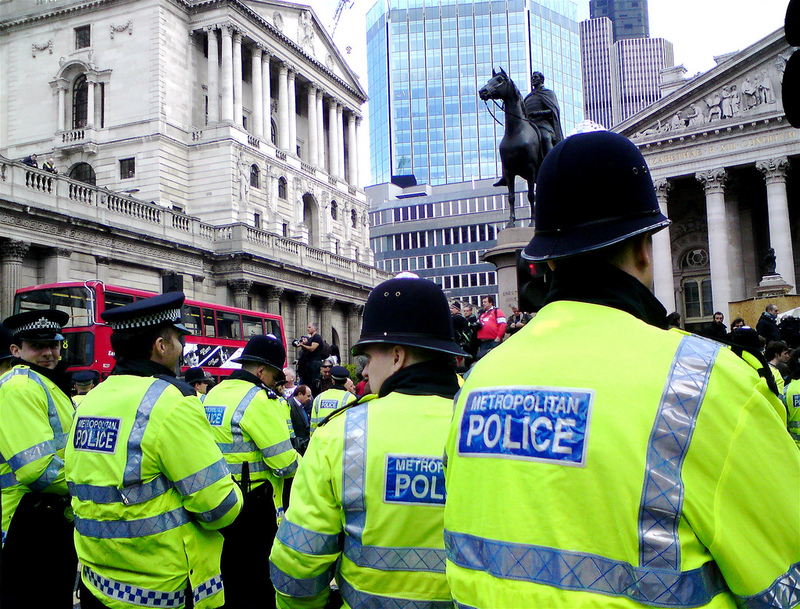 Police in London image: Neil Cummings / Flickr. 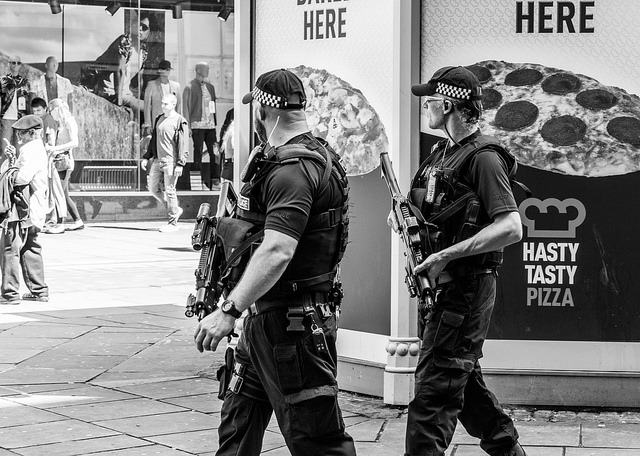 Armed police image: EightBitTony / Flickr. 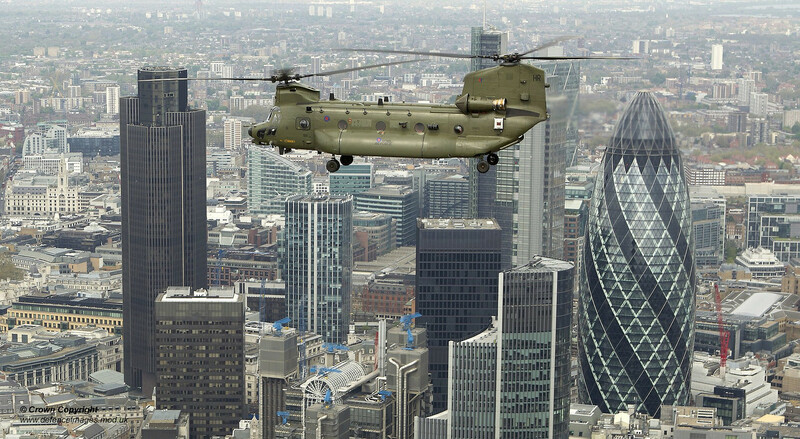 Helicopter image: Defence Images / Flickr. 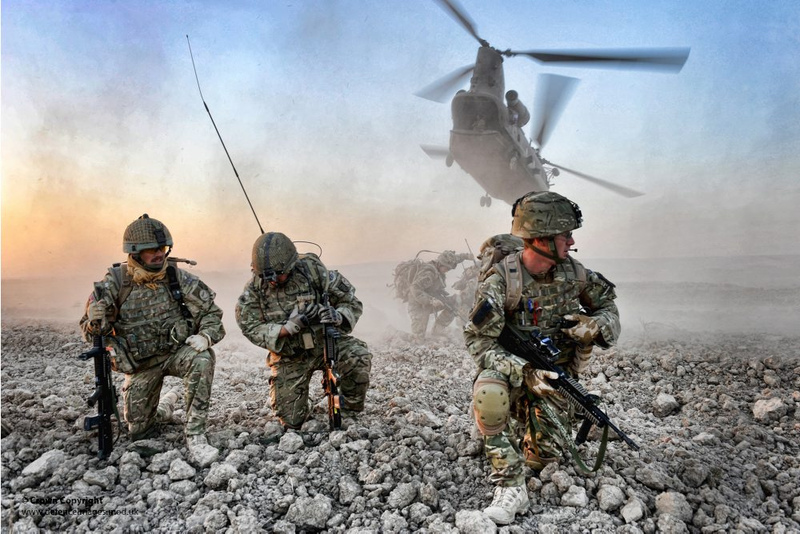 Soldiers image: Defence Images / Flickr. 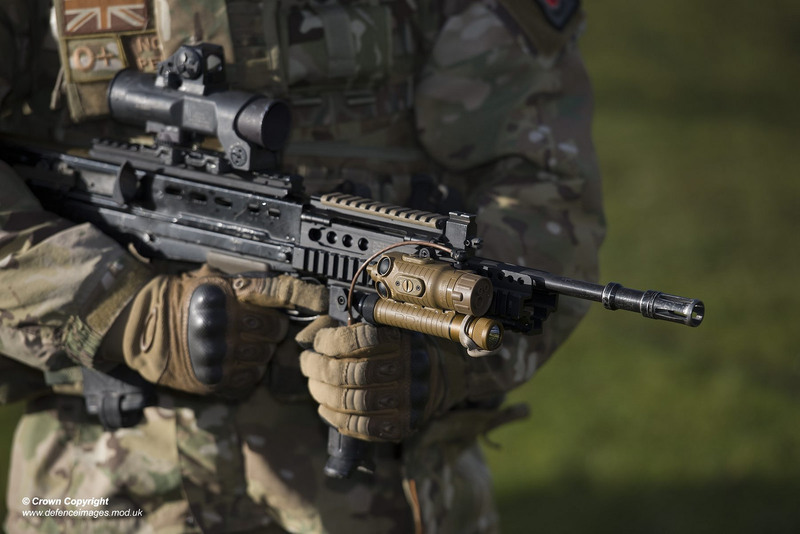 Firearm image: Defence Images / Flickr. Contains public sector information licensed under the Open Government Licence v3.0.